We offer a lot of production techniques. For example: towels with embroidery, digital full colour printed towels, bordure jacquar towels, or digital printed full colour bordure. relief towels, or jacquard towels. We have possibility to do few technique on one towel – it’s opportunity to create an individual and unique promotional gadget. Also size and weight of towel is not a challenge for us! Consult your project with our advisor Tuva Home. Description: Bathrobes with decorative trim – pipings, embroidery, own colour, cap or even printed patterns. Size and weight of bathrobe is selected by customer preferences. Description: In our offer you can also find a towels for golfers. It's perfect gadget for sunny and rainy days. Special metal circle gives opportunity to suspend towel on golf bag. Practically and elegantly. Description: We suggest low weight of towel (than it is light and fast drying). We give possibility to our client to create own design (for example with pocket for keys). Size, weight and colour of towel is selected by customer preferences. Consult your project with our advisor. Description: In our offer we have bamboo and cotton towels, bathrobes, pareo&kilt, turbans and many other plain product best for embroidery. Products are avaible in our on-line shop and in huge quantities in our stock in Poland. Purpose: perfect combination of usefulness with advertising message. Description: This technique is very popular on our market. It has low minimum production and short lead time. 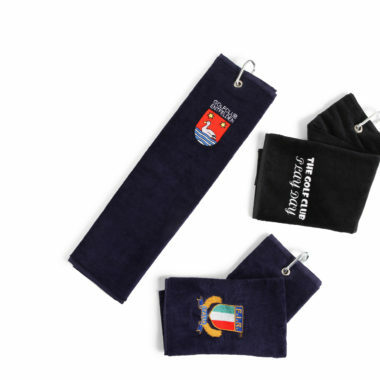 We can do embroidery on towels from our stock in Poland or do it for special order on individual towels – it depends of client preferences. Description: Bordure is a strip running along the short edge of the towel. Width is adapted to the size of towel. With high precision, we can put on a bordure full colour design. Size, weight and colour of towel is selected by customer preferences. On towel with bordure we can also make a relief. Consult your project with our advisor. Description: This technique give us deeper colour than sublimation printed towels. It has a limited number of colour. Maksimum is 5-6 colours without gradations. Printed side is velur cotton and other side is terry cotton (to takes water). This technique give you possibility to create 100 cotton towel with advertising message. Description: This technique allows to place a logo on entire towel – and it doesn't affect on functionality of towel. 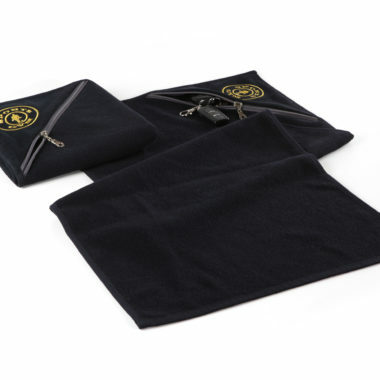 Size, weight and colour of towel is selected by customer preferences. This is the most valued technique on the market because of the ability to accommodate a two-colour logo maintaining the terry cotton structure. Description: Relief and towel is in this same colour. We offer possibility to put a logo by relief on towel. Size of relief which doesn't affect on price. Size, weight and colour of towel is selected by customer preferences. Description: Bordure is a strip running along the short edge of the towel. Width is adapted to the size of towel. With high precision, we can put on a bordure logo even in 5 colors (without gradations). On towel with bordure we can also make a relief. Consult your project with our advisor. Description: Full colour printed towels. Possibility to reflect the picture on the fabric. Thanks to low weight, towel is very light and fast drying. Minimum production: even 20 pcs!